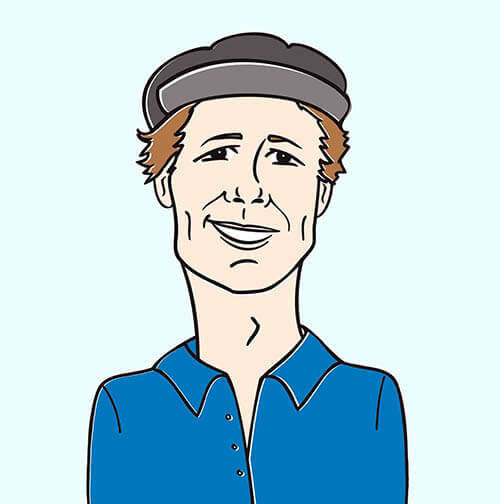 Hello music video afficianados, it’s Andy Gesner and the tireless staff from HIP Video Promo, here with a new clip from a dazzling, passionate singer-songwriter. Thousands upon thousands of independent artists dream of having hits, getting airplay, and national recognition without the help of corporate backing. 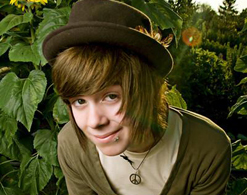 Christofer Ingle of NeverShoutNever! proves that it can be done. The seventeen-year-old acoustic guitarist and singer isn’t from any of the major metropolitan centers: he represents sleepy Joplin, Missouri. A little less than year ago, he recorded himself in the basement of his home, and made the tracks available as an EP. So wildly enthusiastic was the reception to Ingle’s material that he was asked to perform on TRL. Then “Bigcitydreams”, his most popular and heartfelt track, reached #3 on the Billboard singles sales charts. Emboldened, Ingle and NeverShoutNever! took to the road with the like-minded Ace Enders; this winter, he’ll be recording his debut full-length with hellogoodbye’s Forrest Kline behind the boards. Call it an overnight success if you like; we think it’s more a reminder that talent is still the commodity that matters most. Certainly it’s meaningful that Ingle is videogenic, and that he performs in a style accessible to millions. But if his songs hadn’t been so good – so artful, sincere, winning, and immediate – none of this would have happened. It’s telling that his songs are unadorned: there’s rarely more going on that an acoustic guitar, some coloring synths and percussion, and Ingle’s superb voice. Here’s a brand new hero for those who believe in the power of straightforward songwriting: a kid with a knack for melody and harmony, a modern sound, and the heart of a traditionalist. It’s easy to see why “Bigcitydreams” has been such a frequent download: its just the sort of bracing and emotionally-forthright pop that connects with young listeners. Its narrative, too, is an easy one to identify with – Ingle sings to a girlfriend who is fed up with small-town limitations and is aching for the freedom of the city. He’s going to miss her when she goes, but he’s understanding; in fact, he tells her to “scream it, shout, tell everybody how you’re gonna leave”. Letting go is painful, but it’s a rite of passage, too, and Ingle has given long-distance lovers a song to console them during winters apart. The clip for “Bigcitydreams” extends the intimacy and honesty. Ingle invites the viewer into his living room; there, he’s sitting with his girlfriend (and his acoustic guitar) moments before she leaves the Midwest for good. We watch her grab her jacket and unceremoniously go. Nonetheless, it isn’t a clean departure – without realizing it, she’s got a ball of yellow yarn attached to her ankle. As she walks through the streets of the town she’s abandoning, the thread unspools: it catches in doorways, grates, and gutters, and unravels as it does. But before it’s completely gone, Ingle grabs hold of the loose end. He walks the same roads as she does, spooling it up in his arms. Finally, he catches up to her in an industrial section of town – but she has already taken to the air. Rueful, but resigned to his fate, the singer lets go of the kite string and watches her sail away. We are happy to once again be working with the Working Group team to bring you cutting edge new music. If you’d like to catch NeverShoutNever! at any of the upcoming live shows, please drop us a line and we’ll hook it up! If you need more info, call Andy Gesner at 732-613-1779 or e-mail us at info@HIPVideoPromo.com . You can also visitwww.MySpace.com/NeverShoutNever to find out more about NeverShoutNever!